Petra moved from Germany to Orlando, Florida in 1990, has been a part of the Johnson City, TN community since moving there in 1994 and became a US citizen in 2007. Petra has owned several successful businesses including a Nextel Dealership. 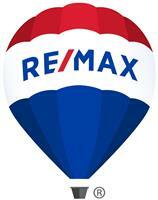 She started her Real Estate career with RE/MAX Checkmate in 2005. Petra has a reputation in the real estate industry for skill, innovation, care and discretion. Combined with her superior negotiating skills and unparalleled ethical standards, qualities which are valued greatly by her clients be they buyer or seller. When Petra is marketing a home for sale, sellers are availed of her extensive and unique expertise in the marketing and sale of their property. Petra's adaptability and skill at reading the market in tandem with her use of the extensive marketing network that RE/MAX Checkmate offers, exposes her client's properties to the right buyers to reach the highest sales prices possible, resulting in successfully and consistently reaching a highly satisfying sale for her clients. Petra also one of the top buyer’s agents in our area, her ability to negotiate the intricacy of this transaction will benefit you long term. Knowledge, skill and expertise in the real estate field, finance and business are some of the qualities that have made her successful as a buyer’s agent. She was in the RE/MAX Executive Club 2006 and 2008, as well as a member of the elite RE/MAX 100% Club 2007, 2010, 2011, 2012 & 2013, RE/MAX Platinum Club 2014 & 2015 & 2016 & 2017 and received the RE/MAX Hall of Fame award in 2014 and is one of the top agents in the Tri-Cities. 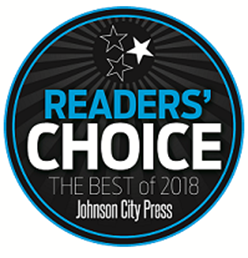 Petra was the winner of the 2018 Readers Choice Award and voted Best Realtor. Petra works hard to provide her clients with the most positive real estate experience possible. A vital part of today’s real estate industry is technology, and to that end Petra provides her clients with state of the art web tools and marketing. It’s just one of the many things that have made her one of the most respected real estate agents in the neighborhoods where she works! Petra is bilingual speaking fluent German as well as English, alleviating any communication barriers with clients.